PCJ’s Media Network Plus interviewed Senator Hugh Segal last week. As we mentioned previously, Senator Segal made a motion that the CBC be made accountable for the unfair proportion of cuts imposed on Radio Canada International earlier this year. I found Segal’s thoughts regarding the future of Radio Canada International articulate and accurate. If you’ve been following the RCI Sackville story, you will appreciate this interview as well. You can listen to the interview on PCJ Media’s website, or by downloading the mp3 by clicking here. 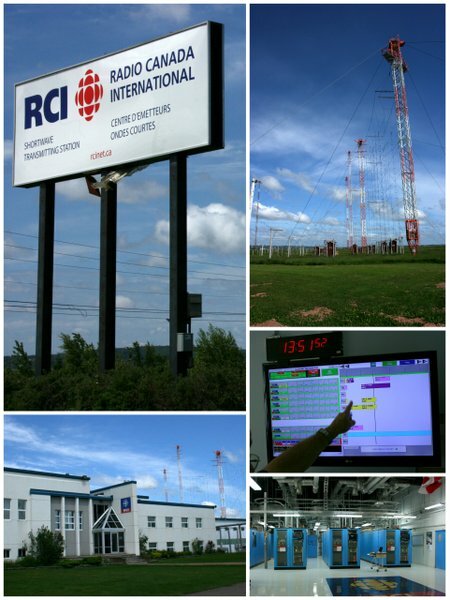 Again, if you haven’t signed our petition to save Radio Canada International’s Sackville transmission site, please consider adding your voice and sharing this with your friends! Click here to sign the petition! This entry was posted in Broadcasters, Interviews, News, Shortwave Radio and tagged Hon. 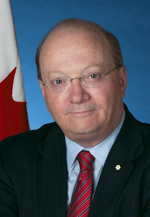 Hugh Segal, How to save Radio Canada International, Media Network Plus, PCJ Media, Radio Canada International, Radio Canada International Cuts, RCI, RCI Cuts, Senator Hugh Segal, Why Shortwave Radio on November 4, 2012 by Thomas. Occasionally, I have the opportunity to report good news on the SWLing Post. Unfortunately, this news is of a very disappointing turn: According to the CBC’s plan, Sackville’s shortwave broadcasting license for the CBC North Quebec service has been revoked by the CRTC. This was announced today on the CRTC website; it is an eventuality in the wake of the 80% cut Radio Canada International received in April of this year. What’s most sad about this revocation is that communities in North Quebec and Northern Canada who rely on this service, many representing First Nations (American Indians), probably do not even realize that they’re about to lose that service–the only service capable of bringing news to their vast Northern region. The “replacement” for the service will be low-powered FM, which will just not have the same reach as shortwave. How vast is this territory? After all, we’re talking about an area where most of us have never traveled. Well, the North Quebec administrative region, alone, is 747,161 sq km (288,480 sq miles)–that’s about the size of Afghanistan, or 200,000 sq km larger than France. 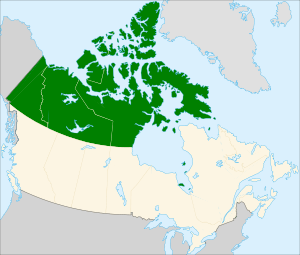 The three provinces which make up northern Canada have a combined area of 3,921,739 km2 (1,514,192 sq mi)–an area larger than India. If northern Canada were a country, it would be the 7th largest in the world. The Sackville shortwave service covers the entire North Quebec region with ease, and probably most of Northern Canada. The CBC also requested the revocation of its broadcasting license for the shortwave radio undertaking CKCX-SW Sackville, New Brunswick. It indicated that the new transmitters will ensure that the population of the aforementioned locations [Puvirnituq, Kuujjuarapik, Inukjuak, Salluit, and Kuujjuaq] continues to be served by the news and regional information programming of its Radio One service when CKCX-SW Sackville ceases operation. Five low-power FM stations, one for each of these communities will, at best, cover a total land area of 500 square miles combined. That equates to a land area about the size of New York City. Note that this is a very generous figure and assumes ideal FM transmission conditions. Clearly, vast areas of the enormous region–where people live, travel, or hunt–will not be covered; in these areas, radios which once received programming from Sackville will receive only static. Last week, I spearheaded a petition to Canada’s Heritage and Public Safety Ministers and the CBC management asking them to stop dismantling the RCI Sackville site –at least, we asked, please keep this site in a state that could support Canada’s domestic security and the North Quebec Service. While I’m fully aware that this petition is unlikely to alter the course of this previously-made decision (made before anyone could voice disagreement), the petition could still make a positive difference. There is still time to save Sackville from being dismantled. This petition makes it clear that there is a large community of people who are aware of this arbitrary cut. Only last week, Senator Hugh Segal made a motion on the senate floor that the CBC be made accountable for their unfair 80% cut to RCI (while the whole of the CBC was only cut 10%). This petition also validates the efforts of those who work at the Sackville site, with whom I’ve been in contact. They are humbled and appreciative of the extraordinary outpouring of support, in the form of nearly 500 signatures from individuals all over the world. Among the countries represented: the United States, Mexico, India, Taiwan, and various countries in both Europe and Africa. If you haven’t already, I encourage you to sign the petition and share it with your friends. This entry was posted in Broadcasters, News, Shortwave Radio and tagged How to save Radio Canada International, How to save RCI, How to save Sackville, Radio Canada International, RCI Cuts, rci sackville, Sackville on October 30, 2012 by Thomas. I don’t often ask you for favors, but over the past few days, I’ve been working hard in the background to stop the Radio Canada International Sackville, New Brunswick transmission site from being dismantled. Now, I need a favor. Could you please take a few moments out of your day to sign this Change.org petition I started? Your voice will be added to the petition and it will automatically email the appropriate Canadian politicians who could, at the very least, put a halt to the destruction of the RCI Sackville site. 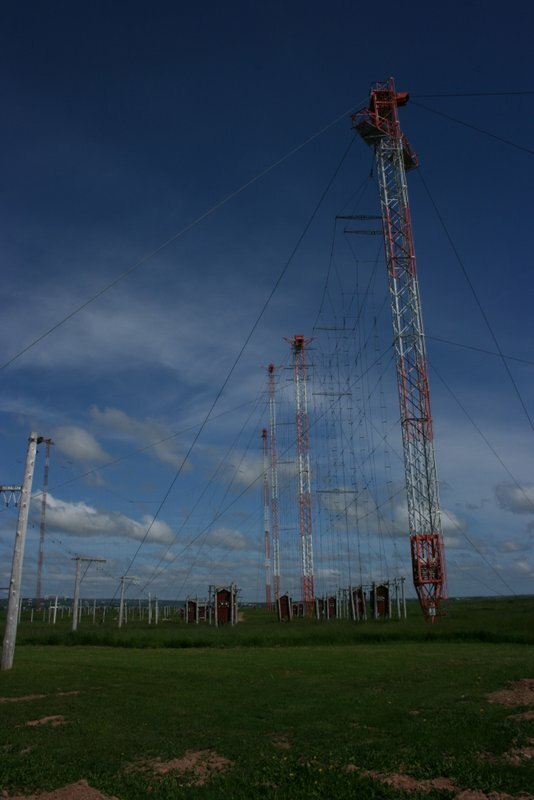 Canada–indeed, the world–needs this vital shortwave resource. You don’t have to be Canadian to sign (after all, I’m not), but just someone who cares about radio and believes in its role in domestic security and international relations. Click here to sign the petition at Change.org, or use the embedded form below. Also, please consider sharing this with your radio enthusiast networks and email groups. The more voices, the better! This entry was posted in Broadcasters, News, Shortwave Radio, SWLers and tagged How to save Radio Canada International, How to save RCI, How to save Sackville, Radio Canada International, RCI Cuts, rci sackville, Sackville on October 23, 2012 by Thomas.